The remainder of former trees can be a presence on your property that only serves as a means of bringing inconvenience. Both in terms of aesthetic and practicality, you can find yourself interrupted by the presence of stumps and looking into professional tree stump removal may be necessary in ensuring that you have the availability you need for effective treatment. Whatever the size of the stump in question, or the age, you can count on our experts to bring you quick removal. One of the most common forms of stump removal is that of grinding. This fast and affordable treatment has the capability to make quick work of even the most difficult of stumps remaining. When looking for an effective treatment that provides you with speed, affordability and the capability to deal with any sized stump on your property, you can count on the experts at Rome Tree Services to bring you results that will last, providing you the capability to move forward with your future property plans. No matter the service, we are always here to bring you immediate results. When choosing to have professional stump grinding brought to your property, you have options available to you when it comes to the overall depth level of your treatment. This provides you with the capability to choose your service based on the future plans you have for the specific area, whether that be simply laying grass over the spot, installing sod, or looking to lay a foundation for a future building space. By providing you with the depth you need, we bring you the capability to move forward with your plans on a surface that is conducive to your needs. Another possible solution for your stump removal needs is to provide a cut and pull service that will treat the entirety of your stump in one service. This involves digging down around your stump to expose its connection to the major root systems and cutting the stump from this position. After it has been separated from the largest roots, the entirety of the stump can be pulled. This can provide you with a more in-depth removal than stump grinding and ensure that you have the means to move forward with any type of plans that you have for the area. The last stump removal option that we present to the Rome area is that of chemical treatment. By boring into the stump and injecting a poison that affects only the stump, you have the capability to break down the item from within and to deal with the entirety of the root system in one service while ensuring that the growth around the area remains safe. 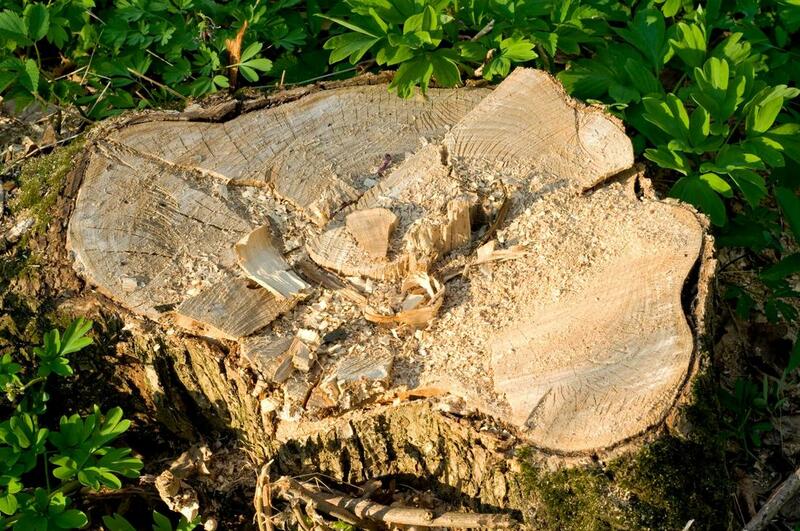 No matter the option you’re looking to obtain when it comes to your stump removal needs, you can depend on the expertise of your local arborist to provide you with the most beneficial results for your property.